We strive to achieve the best possible outcomes through a culture of high expectations for all and reflective practice. Baston House School values the fact that our students deserve the same positive outcomes that matters to all students. A key factor in every child’s learning and well-being is the teacher, and we have highly experienced, skilled, dedicated and committed teaching teams and support staff. These teams work together to provide flexibility in meeting the needs of all learners. Our teams work together to provide a safe and engaging environment. 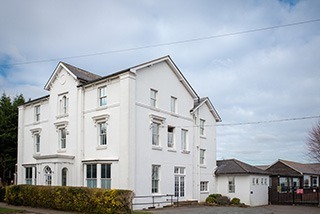 Fundamental to the Baston House School approach is our commitment to personalise the curriculum to the unique qualities and needs of each student. Our curriculum has the flexibility to address the individual and very specific needs of each student, which will promote the well-being and development of the whole individual. A range of prominent visual strategies, including highly structured work-systems, predictable changes, phase timings, engaging and appealing learning environments supports our curriculum delivery. We believe that effective assessment provide information to improve teaching and learning. We strive to ensure that all tasks set are appropriate to each child’s level of ability. Baston House School has seen the removal of levels as an exciting opportunity to develop a learning and assessment model that is focusing upon the individual learning needs of all students, to make sure that they achieve the best possible outcomes.